MEDINA, Ohio--(BUSINESS WIRE)--Jul. 18, 2017-- RPM International Inc. (NYSE: RPM) today announced that it has appointed Julie A. Lagacy to its board of directors effective immediately, and has nominated Robert A. Livingston as a director candidate for election to the board at RPM’s annual stockholders’ meeting on October 5, 2017. 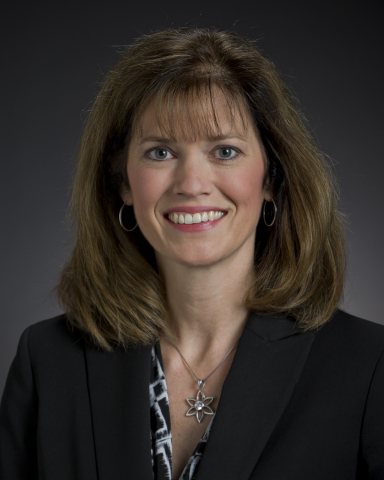 Lagacy is vice president of global information services and chief information officer at Caterpillar Inc., and Livingston is president and CEO of Dover Corporation. Lagacy replaces Dr. Jerry Sue Thornton, who retired from the RPM board today after nearly 18 years of service. Thornton is the retired president of Cuyahoga Community College, a position she held from 1992 to 2013. “Jerry Sue brought tremendous perspectives on leadership, management and community engagement to RPM, and I am grateful for her thoughtful guidance. During her tenure with RPM, sales grew from $1.7 billion in 1999 to approximately $5 billion today. Our shareholders were rewarded with an annual dividend that increased from $0.465 per share to $1.20 per share during that timeframe,” stated Frank C. Sullivan, RPM chairman and CEO. Caterpillar is a manufacturer of construction and mining equipment, diesel and natural gas engines, industrial gas turbines and diesel-electric locomotives with 2016 sales and revenues of $38.5 billion. It is publicly traded on the New York Stock Exchange (NYSE). Lagacy joined Caterpillar in 1988 and has held management positions as product and commercial manager, human resources manager, chief financial officer of its Global Mining Division and vice president of the Finance Services Division. She has served in her current role as vice president of global information services and chief information officer since 2014. Lagacy earned dual bachelor's degrees in management and economics from Illinois State University, an MBA degree from Bradley University and is a certified management accountant. Dover is a diversified global manufacturer with annual revenues exceeding $7 billion. It is publicly traded on the NYSE and has 29,000 employees worldwide. Dover provides equipment and components, specialty systems, software and digital solutions, and support services in the energy, engineered systems, fluids, and refrigeration and food equipment markets. Livingston joined Dover in 1983 when it acquired K&L Microwave, where he served as vice president of finance. He went on to hold management positions of increasing responsibility with several Dover business units, including serving as president and CEO of Dover Electronics, Inc. and Dover Engineered Systems, Inc. He was promoted to his current position as president and CEO of Dover Corporation in 2008. Livingston received a bachelor’s degree in business administration from Salisbury University. “Julie and Bob have extensive experience in management, finance, strategy, technology, acquisitions and capital allocation. I welcome the innovative ideas and perspectives that they will bring to drive RPM’s growth and value for our stockholders,” stated Sullivan.